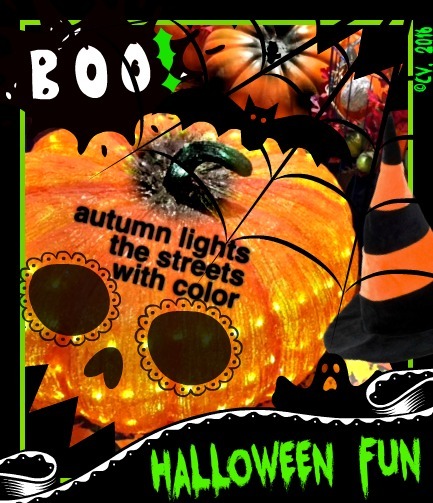 What is autumn without Halloween?, I ask myself as professional commitments pile high on my desk. Hurry! No time to waste! From attic to front porch, the parade of boxes come down. Am I ready! No, not yet. EEK! 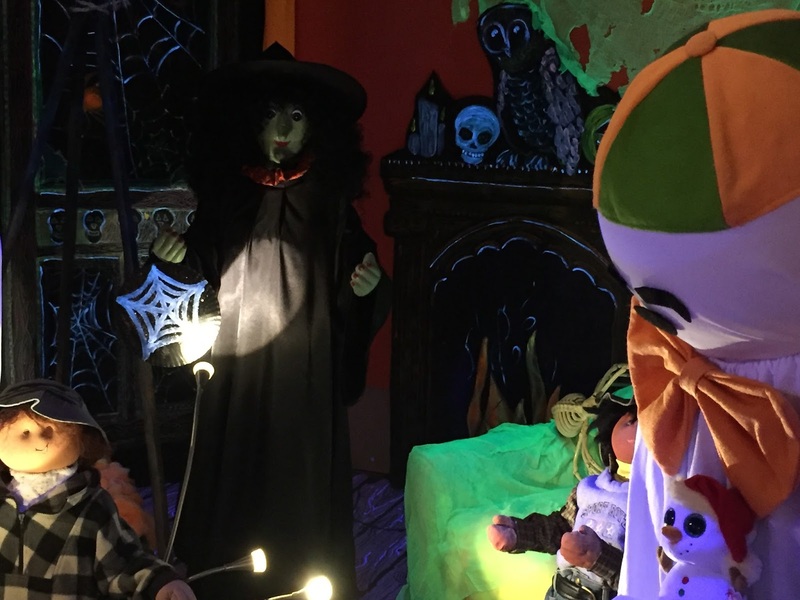 Stay tuned for more Halloween fun from my house to yours. 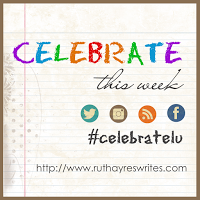 In the meantime, you can scoot over to Ruth Ayres' Celebrate This Week for an inspiring message about fall. Other bloggers are celebrating their week there, too. Join in! Here on Long Island, weather changes fluctuate between Indian Summer and end of autumn rawness. I flip flog between being outside capturing fall and inside watching flickering candlelight and sipping hot chocolate topped with caramel syrup. I will continue my seasonal pursuit when the rain changes to sunshine once again. In the meantime, enjoy my final thought as you find fall in your locale. 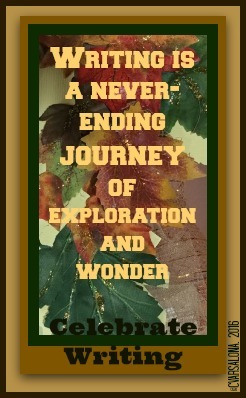 I will be collecting digital inspirations, nature photographs of autumn, and imagepoems until mid-November for my upcoming Autumnventure Gallery. 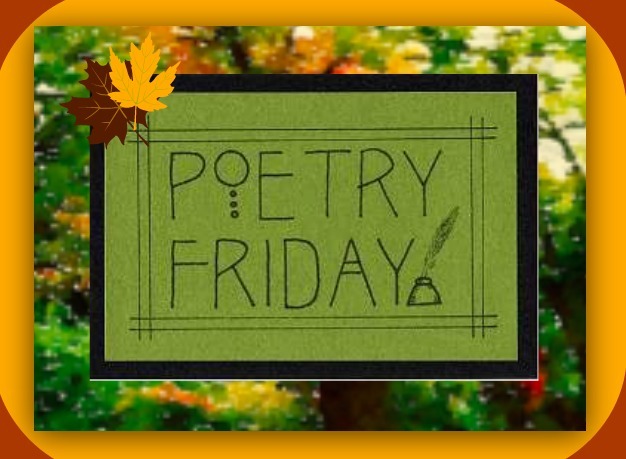 It's Poetry Friday and my friend, Linda Baie, is hosting the Poetry Friday Round-Up at her site, Teacher Dance. 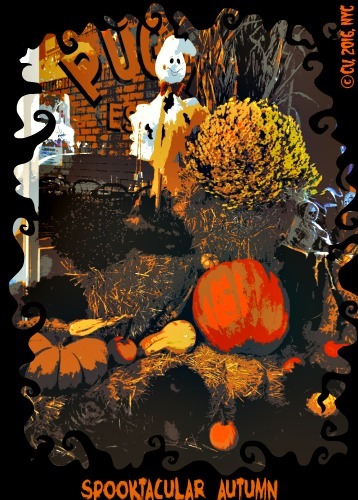 Please visit to read Linda's original poem, "Sometime in October," and what the other writers have written. Today was one of those days that needed distractions. Sitting in front of a computer designing a presentation for a group of teachers was weighing heavily on my mind. So many thoughts on digital writing were in front of me waiting to find their home in Google Slides. Knowing that a facilitator guides instruction not dominates it was making the task a longer process than I thought. When my husband said that he was taking a ride to Hicks Nursery, I jumped at the chance to go along. Maybe a change of scenery would be just the right break. Off we went to the place that I took my children to each Halloween. 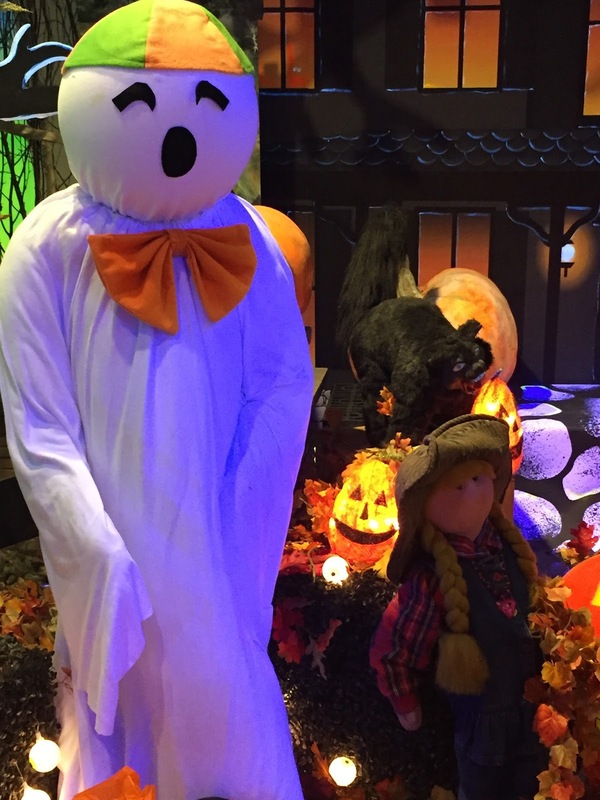 Otto the Ghost was still there but his venue expanded and his story took on a new dimension. 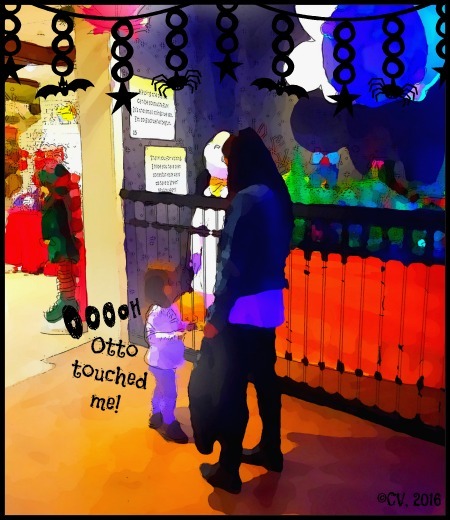 Otto was greeting his little guests in a Disney-like exhibit with a new animated tale called "Otto's Green Halloween." I met a young mother and her little one there for the second time who told us that we were lucky the walkthrough show was not crowded. I was delighted to be able to take photos without throngs of people milling around me and to have such an excited little girl by my side. As we traveled from room to room another child, older than the toddler, appeared and she too was mesmerized by Otto the Ghost. Of course, this brought to mind all of the Halloween visits to see Otto over the years and the fun that happens at Halloween in my neighborhood. This trip was the right diversion for me. With camera in hand I was able to hone in on a small moment, capture the buds of a story to share, and continue my quest to find fall. "Photography is a love affair with life." (Burk Uzzle, American documentary photographer) I can say honestly that being behind a camera is an exciting place to be. It lets me look at life with a new set of eyes and of course, it offers me inspiration for writing. It's Tuesday and time to write, give, and share at the Two Writing Teachers' Slice of Life. 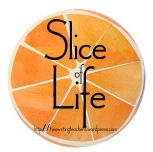 You can access the writing community's slices here. home and retrieved in dreams. 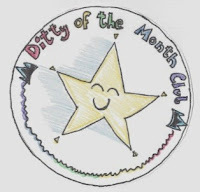 I thank Michelle Barnes, the creator of Today's Little Ditty challenge and poet Kenn Nesbitt for creating the following challenge: Write a poem for your mother. Write it for your mother and give it to her. 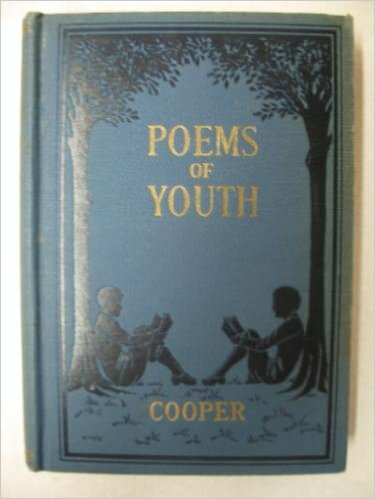 It can be any kind of poem you like, as long as it’s especially for her. For those interested in seeing the October challenge and Michelle's interview with Kenn Nesbitt, please click here. You can find other's poetry on the topic on Michelle's October 2016 padlet. While I cannot give this poem to my mother for she passed away in 2009, she is ever-present in my life. Looking back on a life of service is what I think about when I remember her. 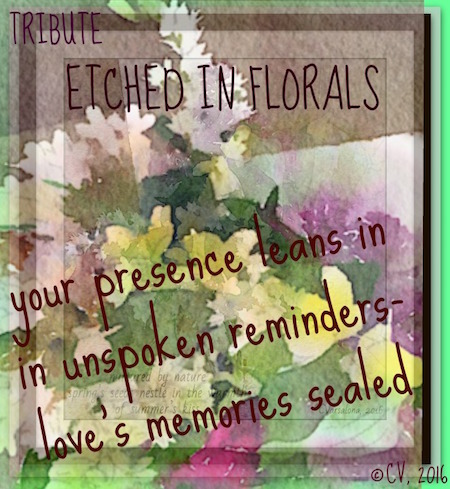 With love I dedicate these poems to send Mom's love back into the world. Thank you, Michelle for providing the space to create a living tribute to my Mom who was lovingly known by the neighborhood children as Grandma Kay. What does it take to fully understand the learner and help each child succeed? It takes a 3P Plan. Reflective teachers are difference makers who do not lose sight of a 3P Plan to help students become successful owners of their learning. As thoughtful coaches of students, they have patience when developing purposeful best practices. They strive to impact learning daily. 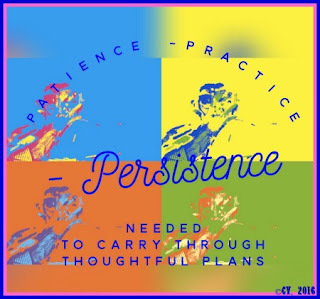 In their persistence for caring for the learner, they continually hone their practice as effective deliverers of instruction. They collaborate, reflect, and journey with positivity as their guide. 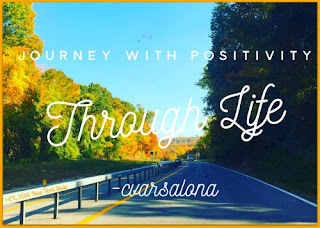 Are you journeying on this path? I join Margaret Simon for DigiLitSunday today. 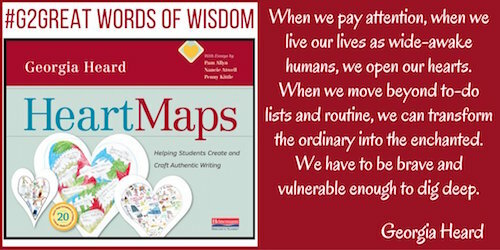 Her prompt below inspired me to slow down my own process of crafting lessons for my upcoming professional development sessions with teachers. 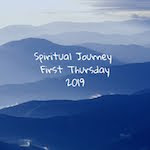 Happy journeying as a reflective teacher with a 3P plan. 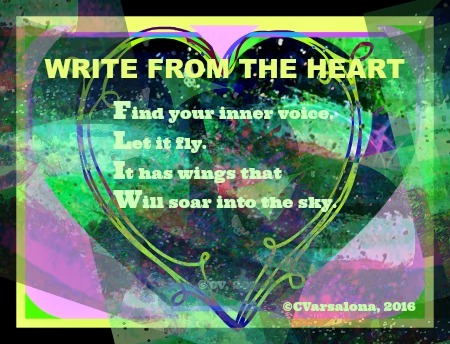 This week was filled with National Day On Writing reminders on Why I Write and being inspired by nature to write. 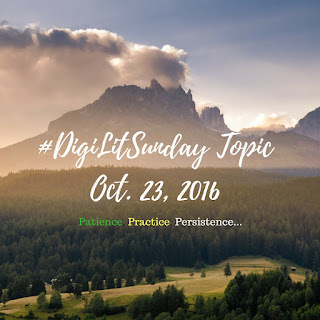 If inclined, you may wish to join the DigiLit Sunday community today to address the mantra Patience - Practice - Persistence. Did you ever have a week filled with abundancy? This week, there were several memorable moments that brought smiles to my family. I captured the events in photos to add to my collection of wonderful times to remember. I celebrate belief in possibilities and abundancy that follows. After I started this writing, I read a post by my writer friend, Violet Nesdoly. Her central thought (below) resonated with me. Violet's post validates my belief that abundance is a gift of faith. My week has been blessed with abundance and I write to celebrate the events that led to this feeling. The week started with an annual trip to Memorial Sloan Kettering for a check-up. For thirteen years, I have traveled there with the belief that the power of faith and medicine heal. On Monday, my doctor said that I looked great and we recalled the first time I met him in 2003 during the New York City Blackout. To celebrate my good news, my son, husband, and I strolled the streets of Little Italy to find the perfect outdoor cafe for a delicious dinner and a glass of wine. 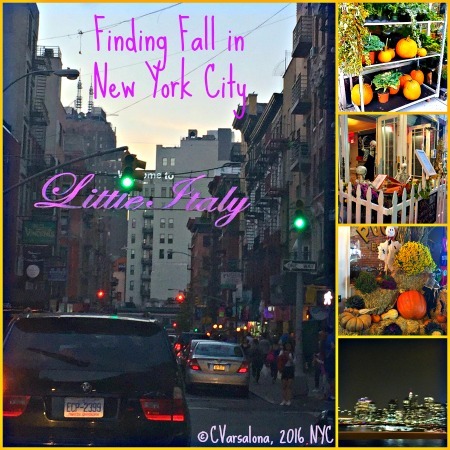 As a bonus, I found fall right on the streets of New York. 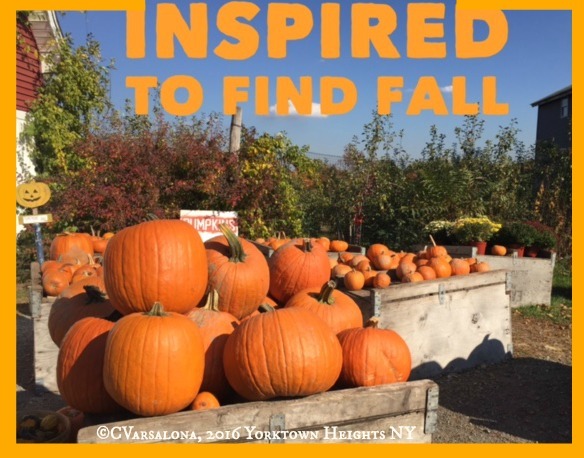 I followed this memorable evening with an inspirational day to find fall in Westchester, two hours north of Long Island. 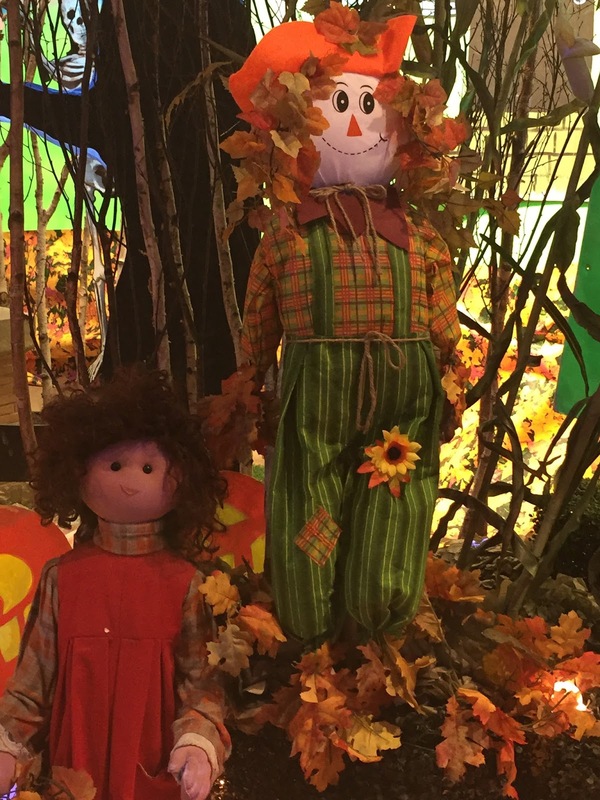 The Indian Summer day offered a beautiful backdrop to capture photos and autumn artifacts. 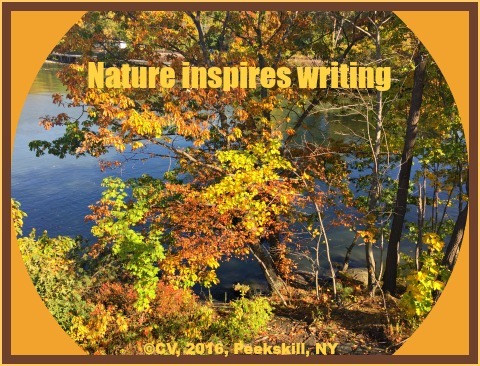 I was inspired by nature, captured autumn, and celebrated writing this week. There was an abundance of happiness, so tonight I celebrate with Ruth Ayres and the blogging community at Celebrate This Week. I send out an open invitation to all to join me in finding fall. are being collected at #Autumnventure. It's true that I am inspired by nature. Closer observation of the world has changed my perception for I now see each season for its beauty, not any negative components. 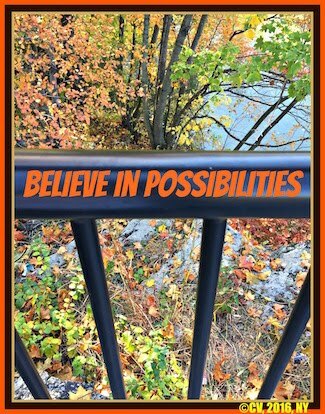 In doing so, I embrace the word believe as a powerful way to think positively and find possibilities in life's landscapes. Tonight during the #G2Great educational chat, I was excited to read a quote from poet Georgia Heard that resonated with me. This led me to start wondering about the gift of writing. I searched for a poem that would describe the beauty of October as I saw it this week in my travels. The flame of the maple tree! October in my own land. . . .
Of gold and crimson stain. 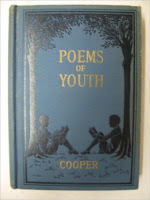 You can read the rest of the poem that takes on a bit of a different tone here. 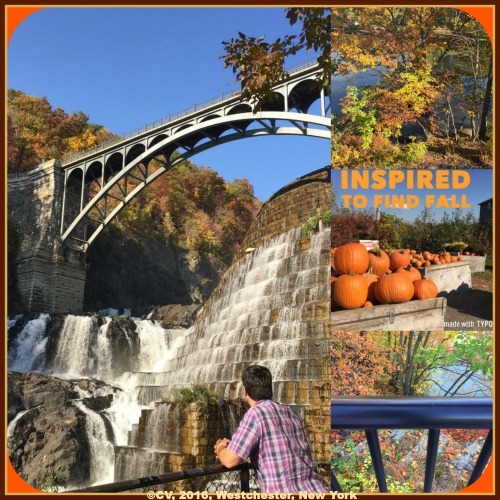 Below is a photo collage from the day trip I took with my family to find fall. We were fortunate to witness the beauty of an Indian Summer day with autumn colors popping. Each time I am captivated by the beauty of nature, I am inspired to write. 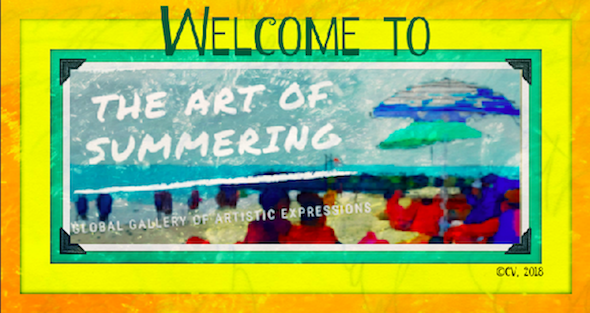 Join me this season as I capture the beauty of the fall for the Autumnventure Gallery. 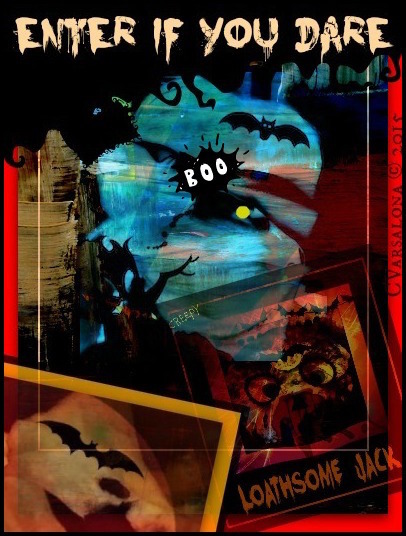 Today is Poetry Friday, please visit Tricia Stohr-Hunt's site, The Miss Rumphius Effect, for the Poetry Round-Up. On days when writing slows down, I turn to nature to find inspiration. Henry David Thoreau said, "We can never have enough of nature." 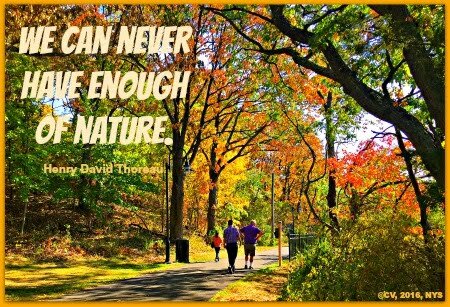 I am a firm believer in Thoreau's words for nature is my observation window into life. Through the looking glass of nature, I peak at the world with different eyes. I retreat into its depths. Nature never disappoints me. Despite its unpredictability, I can still find splendor in nature. Today, in hope of finding fall, my family and I took a spontaneous trip to upstate New York. 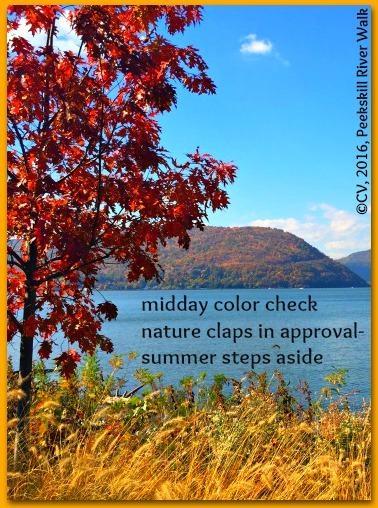 While the leaves have not yet peaked in the Hudson River region, I witnessed the beauty of the season. I was awed by the change of color that I have not seen yet on Long Island. I was inspired to take photos and sear all the memories of this fall day in my mind's eye. As the sun's rays glistened onto lakes, streams, and the mighty Hudson River, I noticed small objects that complimented the scene: a stray log floating, a solitary, tiny red leaf on a trail, and leaves cascading in mid-air. I approached a man-made dam completed in 1906 and was taken aback by the beauty of rushing water flowing with a forceful, rhythmic motion. 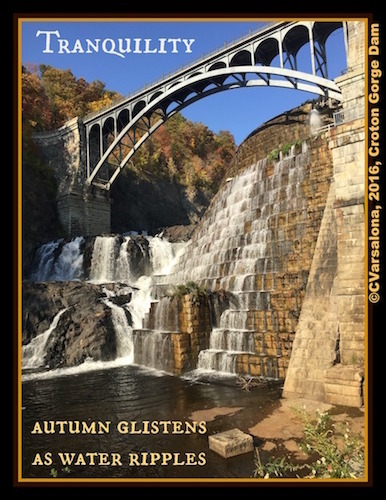 Prior to visiting this area, I heard that at the time of its completion, Croton Gorge was the largest dam in the world and second largest man-made structure next to the pyramids of Egypt. Naturally, I wanted to see for myself this structure that has withheld the forces of time. My family and I found the gorge to be a serene place for rest and reflection. What did I learn this fall day? Writing promotes self-discovery and peaceful scenes like I experienced are reminders that daily living needs not be rushed. Nature promotes the slowing down of life so that it can be savored. I returned home contemplating the beauty of an autumn day and the fun of a spontaneous Autumnventure. I turn to writing in the evening hours to savor a day well spent. 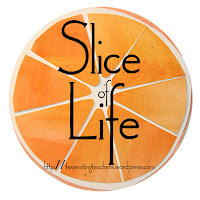 I write tonight to preserve the wonder of an autumn day and offer this as my slice for Two Writing Teachers' Slice of Life Tuesday. October 20, 2016 is National Day On Writing sponsored by NCTE. 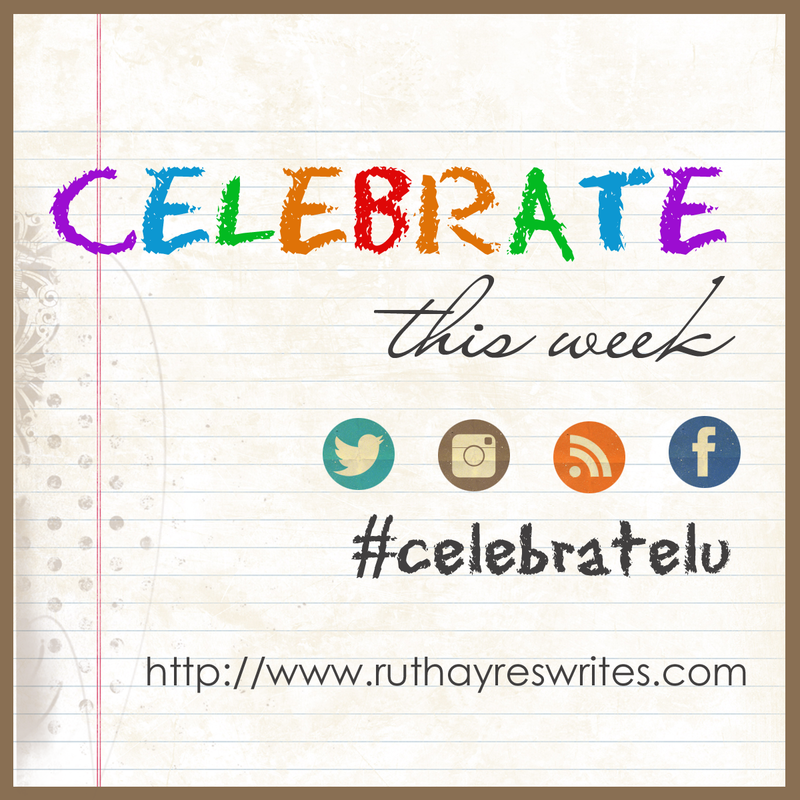 Let's Celebrating Writing Every Day!